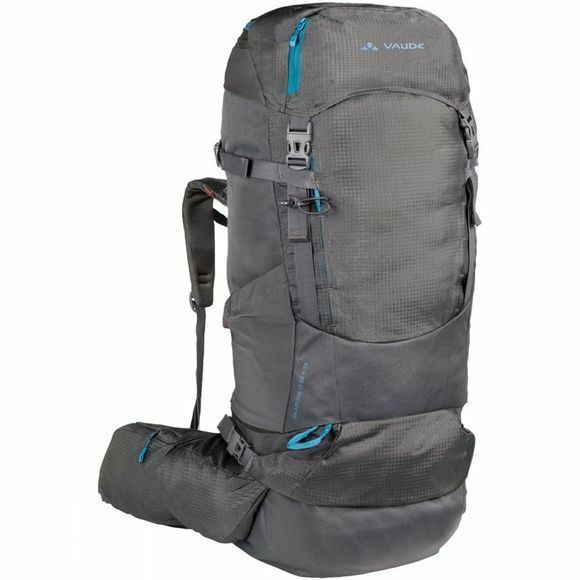 The Womens Skarvan 65+10 Rucksack from Vaude is for adventures off the beaten track: when challenging trekking tours mean carrying all your gear and food with you over long distances and rough terrain, you need a robust and dependable trekking pack with plenty of storage space and excellent carrying comfort. The models of the Skarvan Series offer just that, at an incredibly low weight. The flexible Tergolight Comfort suspension system can be individually adjusted; two inner frames provide excellent load distribution and stability. 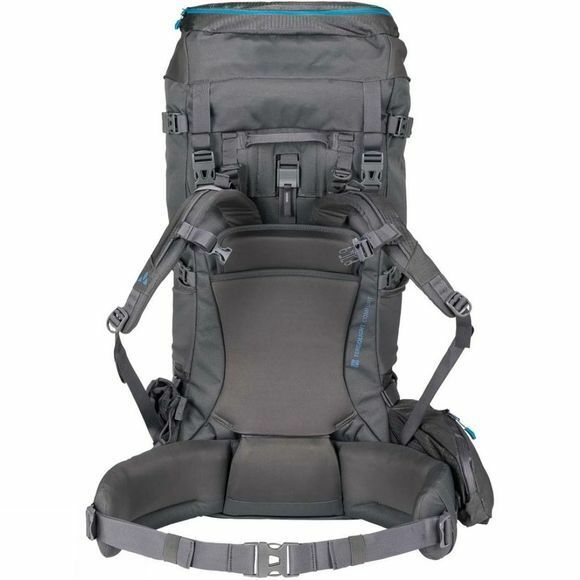 Ergonomic shoulder straps offer superior freedom of movement in the shoulder area. A generously padded hip belt is imperative for carrying comfort and stability – it’s been revised for been better load distribution. This pack for heavy loads is made from a very tough, very water repellent material. In order to prevent potential weak points in this trekking pack, Vaude refrained from using zips in high stress areas. Instead, access to the bottom compartment and main compartment is through roll closures that are impervious to abrasion and exceptionally waterproof. Expand the carrying capacity of the main compartments by 10 liters via extra material in the roll closure (lengthen the stuffer).